QuickType keyboard intelligence kind of its own type of smart AI. Almost like a Siri...? "We love capturing so much of our lives on our cameras." 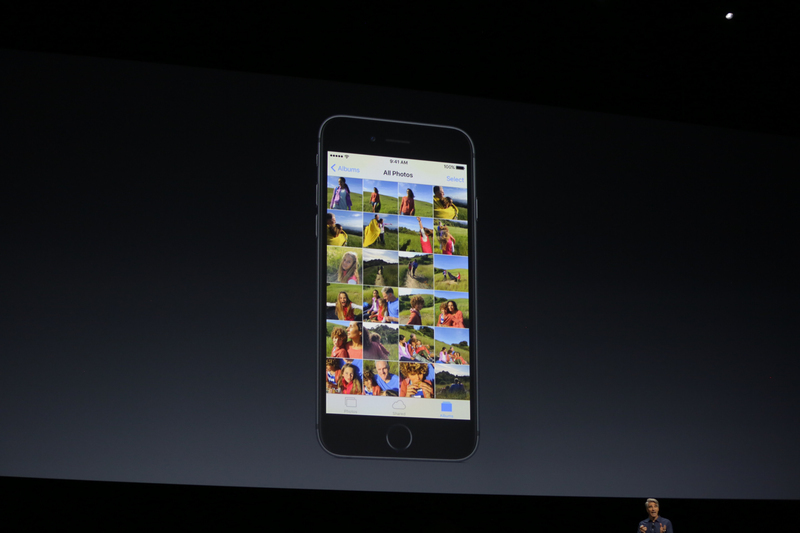 "With iCloud Photo library we have those with us across all of our devices. Places lets you see all of your photos on a map"
"Big news is photos this year is advanced computer vision." 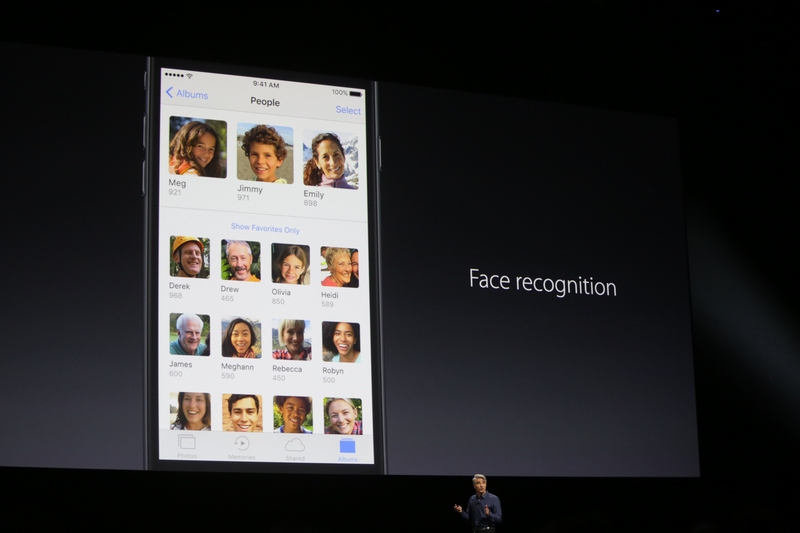 "Facial recognition to the iPhone. All done locally on the device." "Can get all of your most improtant people built into people albums for you." "We're applying the same kind of tech with deep learning to object & scene recognition as well." Computer Vision comes to photos...facial recognition, done on-device. (not cloud). "privacy protected." Also objects, scenes. Google Photos-esque. "Able to detect there's a horse, water, mountain. Can do powerful searching on device." "Not just finding the photo you're looking for but being reminded serendipitiously about a memory." The AI moment has arrived. We have Advanced Computer Vision deep learning tech for object & scene recognition, Siri on your Mac for ordering a Lyft, finding you movie tickets. Yep -- he said it -- "advanced artificial intelligence." "Cluster together photos and relate them based on people, scenes. Can spot trips that might be improtant to you. Can figure out want to see a highlight reel of the last weekend or year and can bring those forward at the right time." Topics like "on the water"
Apple promises to bring up memories that will be relevant any given moment, via photos and people. Hmm. Served up in what way, I wonder? "Pull into an intuitive user interface that make this so engaging"
"Let's take a look at photos. New tab called Memories." 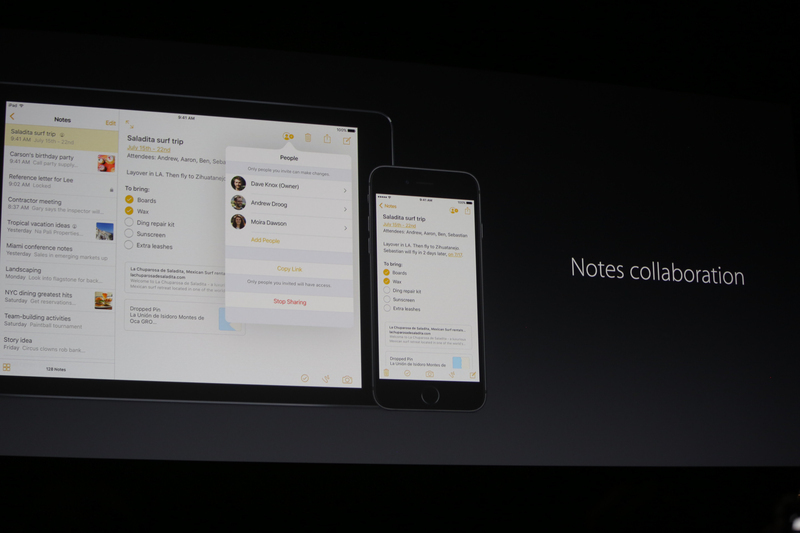 "All of this is available to you on your iPad as well. 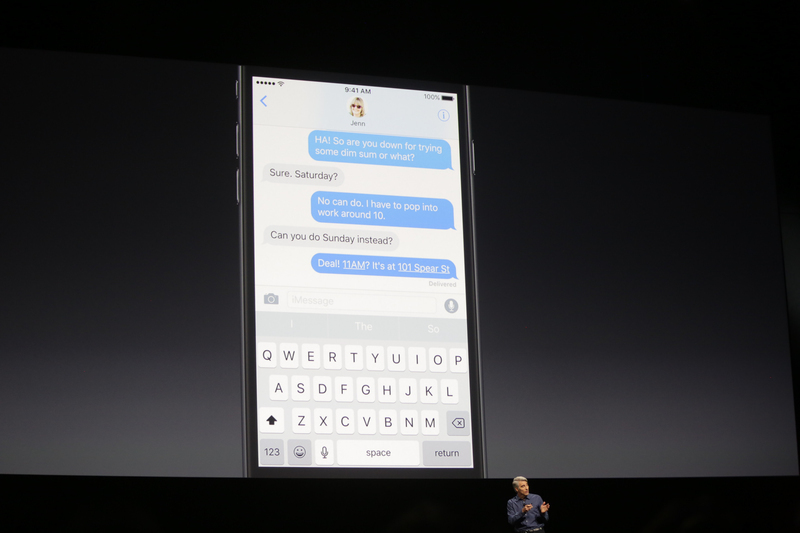 Mac and Apple Watch and receive content." Can someone laser-confetti me some samosas? 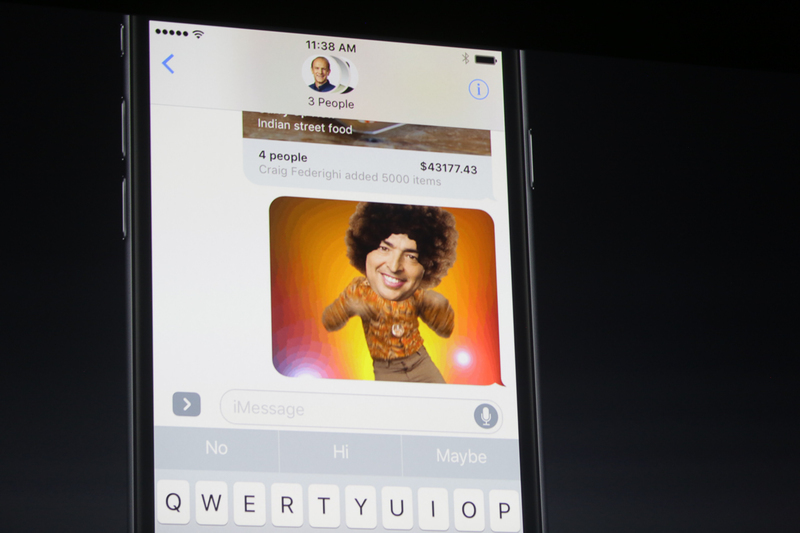 I will pay a fair sum for a "block iMessage app" feature. "There's so much more we can't talk about now. Like Notes collaboration. Can work live with multiple people in the same note." "Live Photos editing. With digital video image stabilization. Editable now as well." 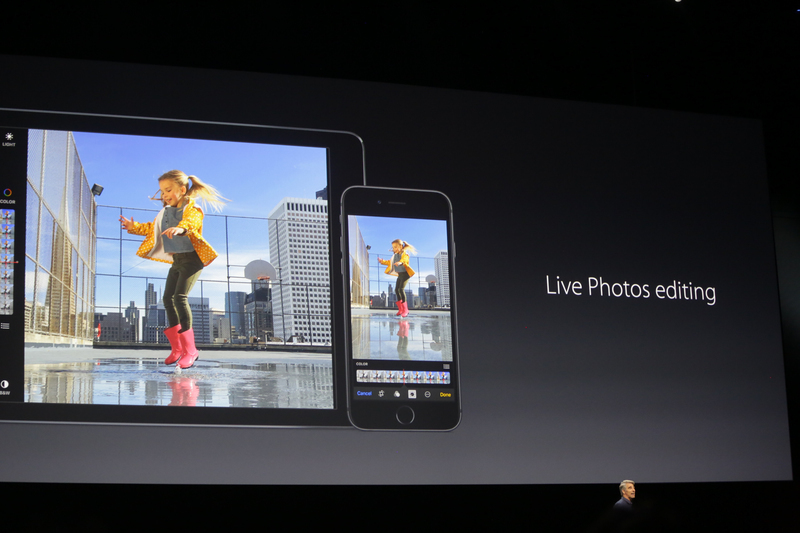 Live Photos can be edited. 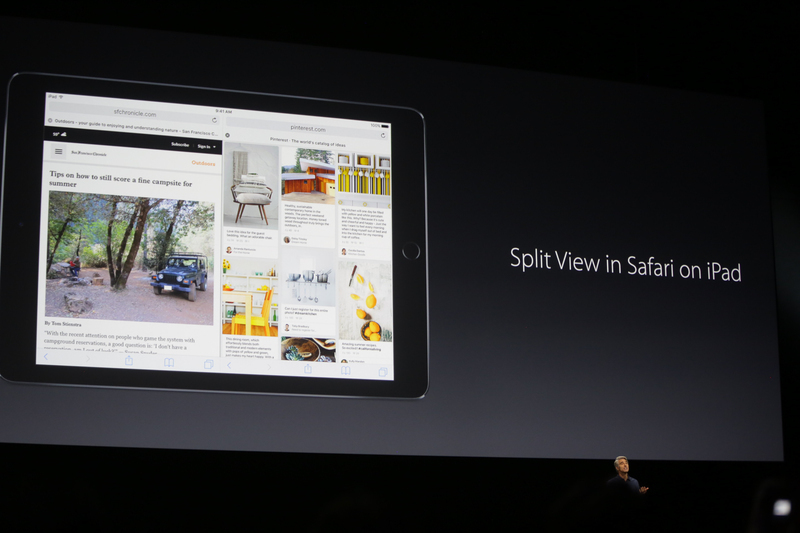 "Split view in Safari on iPad. Can put two websites side by side." "iOS 10 is a fantastic release for users. Also a gigantic release for developers." "In every feature we do, we carefully consider how to protect your privacy. 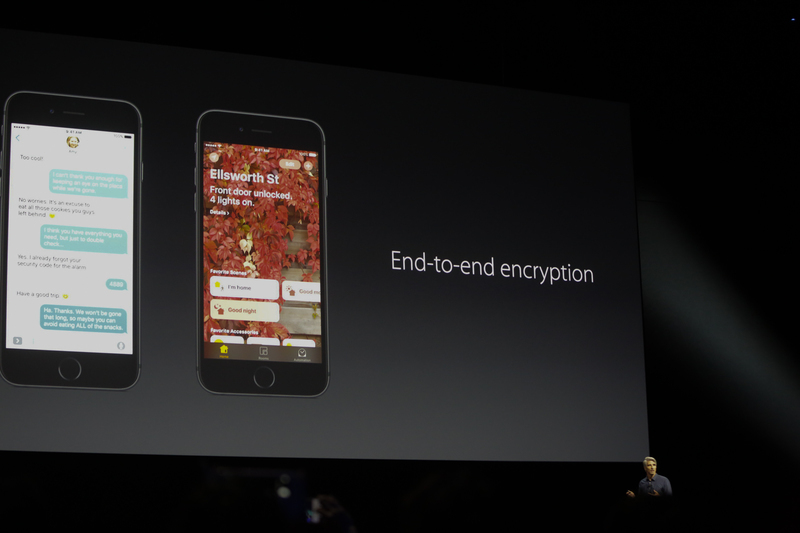 ... make sure we use end to end encryption by default." Privacy time. So far, today, all the deep learning stuff has been on-device. 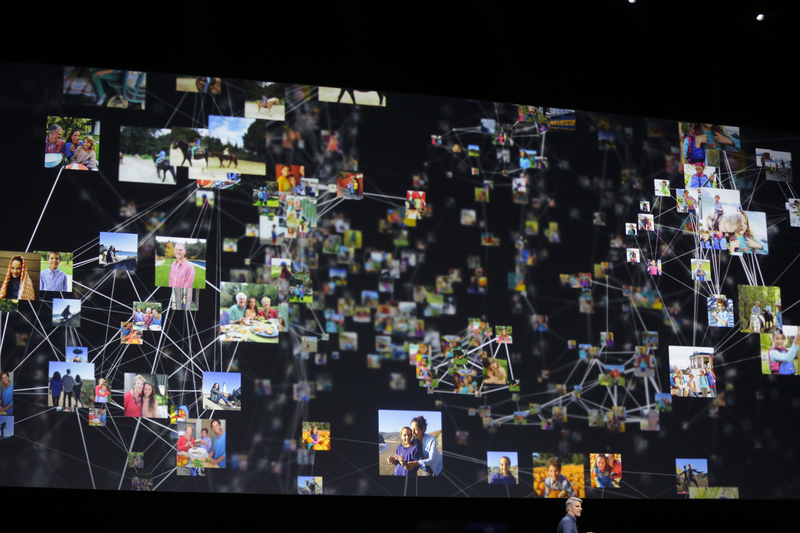 "When it comes to peforming advanced, deep learning ... doing it on device. Keeping your personal data under your control." "When do searches on the internet ... we don't build user profiles."